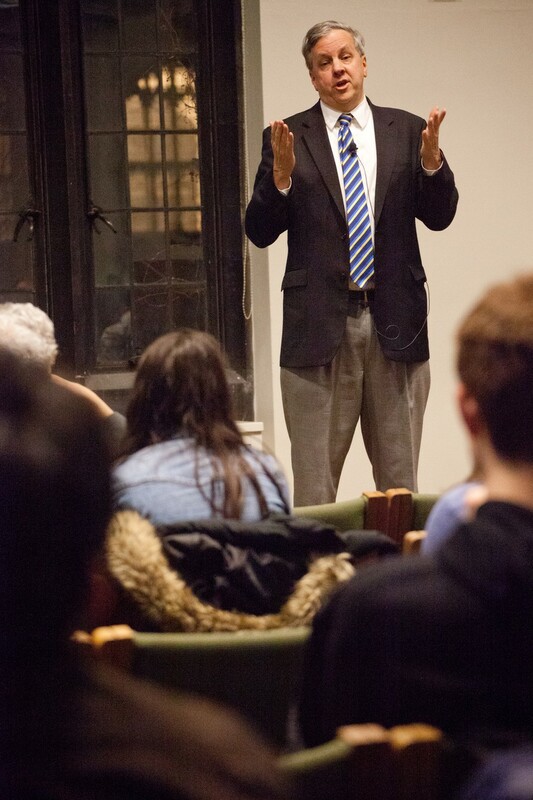 Current Diplomat in Residence for the Midwest Ian Kelly discussed Russia’s attempts to distance itself from the West and turn inward during a lecture sponsored by the Center for International Studies on Wednesday in Swift Hall. Kelly is the former U.S. representative to the Organization for Security and Co-operation in Europe (OSCE), a non-binding intergovernmental organization that deals with issues such as human rights, ecology, and arms control. He characterized Russia’s philosophy of “turning inward” as a means of consolidating power. Moving back through history, Kelly underscored the importance of the Helsinki Final Act, a non-binding accord signed by both the U.S. and Russia in a mutual agreement to recognize human rights, noting that the act gave legitimacy to the human rights movement within the USSR. “History has shown that the USSR actually sowed the seeds of its own destruction by agreeing to these principles,” he said. Kelly turned to contemporary issues such as the current situation in Ukraine where President Viktor Yanukovych unexpectedly turned down an economic partnership with the European Union, going against his previous statements, due to pressure from Russia. This act sparked mass protests. “We just want to ensure that Ukraine is able to make the right choice. And, quite frankly, this choice is totally false. They should be able to have relations with the E.U. and Russia. It shouldn’t be either-or, and this is the crux of the problem,” Kelly said. Kelly fielded questions from the audience, which covered topics such as LGBT discrimination, the differences between American and Russian values, the Syrian conflict, and the Olympics in Sochi. Regarding the Olympics, Kelly felt they would be “a real plus for Putin and for Russia” in the end.